The Base Plate M for the Lunedot candle holder is the metal base plate on which you put the Lunedot Candle Tubes. You can order the separate base plates when you want to have a larger base plate for more candles or to create other colour combinations. 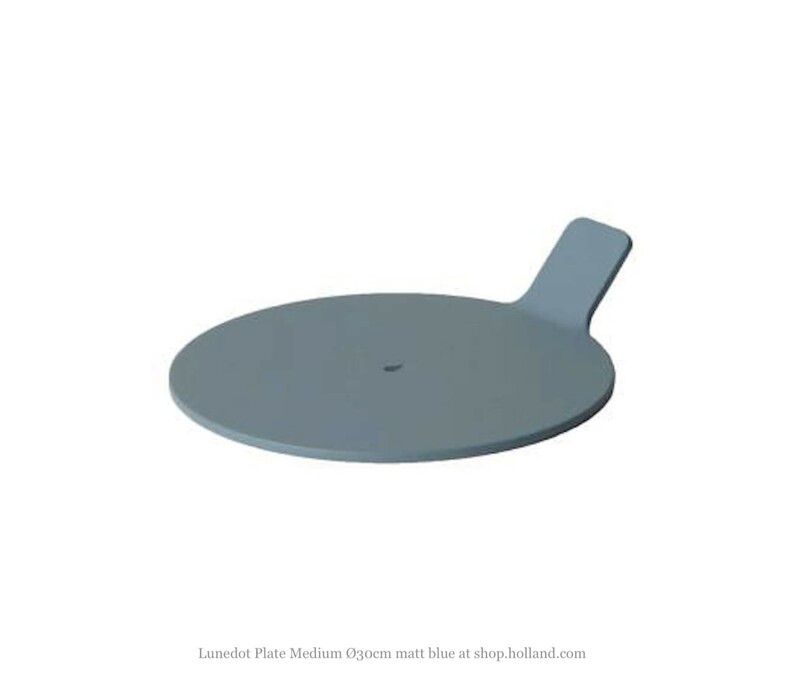 The Lunedot Base Plate M blue has a diameter of 30 cm. Let your creativity flow! The Lunedot Candle Tubes are placed on a metal Base Plate. This plate you can buy separately when you want to have a larger base plate for more candles or for other colour combinations. The Lunedot Base Plate M has a diameter of 30 cm and is available in blue and 7 other colours.